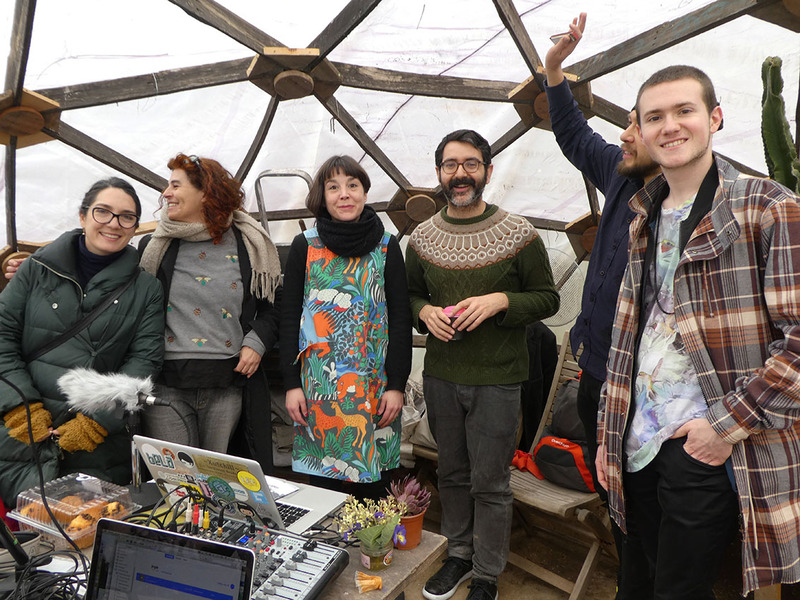 I am still surprised and very happy: Datscha Radio happend in Madrid, in a garden, in a tent, with sunshine, rain, a fabulous cat, with gardeners, musicians, surprise guests and even a power cut in electricity! … and the community of Esta Es Una Plaza: Alberto, Santiago, Luis, Tommi and all the gardeners. Many thanks also to Udo Noll/aporee.org for providing the stream! Tomorrow: Presentation of the work (as well as the work of some other artists residing here at Medialab at 6pm!